Prevention's March 2013 issue touts a recipe for Spaghetti with Roasted Red Pepper Sauce and features Ancient Harvest Gluten Free Organic Quinoa Pasta. The pasta is apparently GMO-free and sold in seven different cuts.Prep time for the recipe is 15 minutes with a total time of 25 minutes. Nutritional information is included. Recipe appears on page 125. 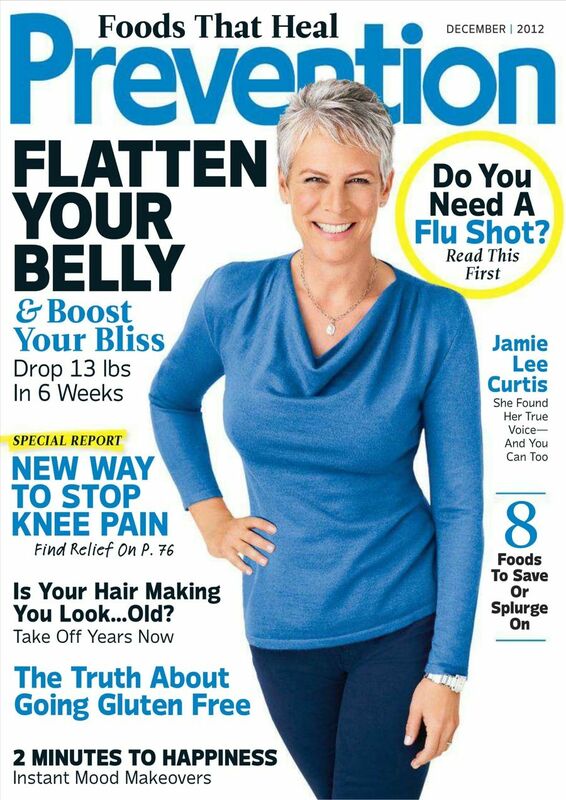 So glad to see more gluten-free products spotlighted in magazines these days! For those of you in the CNY area--or those planning to visit--check out page 54 of the November/December issue ofTHE GOOD LIFE central new york MAGAZINE. You'll find a blurb in their Holiday section about Beak & Skiff Farm Distillery's premium small-batch apple vodka. As you'll see from the photo, there is a sticker on the bottle that classifies it as "Gluten Free!" I had the pleasure of visiting Beak & Skiff last fall and found it to be quite the local treasure. I would highly recommend a visit. Makes for a nice family outing when the apples are ready for picking. I would also recommend picking up a copy of THE GOOD LIFE; it is an intelligent, beautifully crafted publication that highlights the best of CNY. 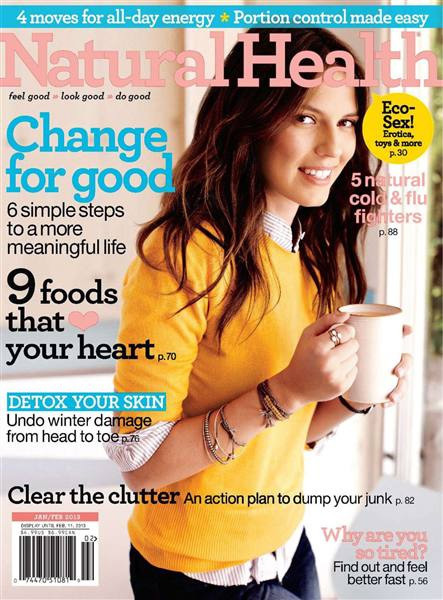 The December/January 2013 issue of Living Without boasts an article on page 20 titled, "Gluten and Allergy Apps." The article discusses several apps that appear to be helpful if you want to dine out but have food allergies or celiac disease, or if you just need help planning meals and cooking at home. A list titled, "Helpful Apps" appears on page 25. In addition to the apps listed, I found "Gluten Free Near Me" which is free to Android users. The "Nourish" (Eat for your health) section of December's Prevention has a blurb titled, "Should You Go Gluten Free?" (Page 19.) It basically states that the only people who should consider going gluten-free are those with celiac disease or gluten sensitivity. While true, it's unfortunate that the article cuts off right after information presented by Alessio Fasano, MD, director of the Center for Celiac Research at the University of Maryland about why people should not cut gluten from their diets prior to diagnosis (it makes a condition like celiac disease harder to diagnose.) It's always a pleasure to hear from Dr. Fasano--wish there had been room for more information! 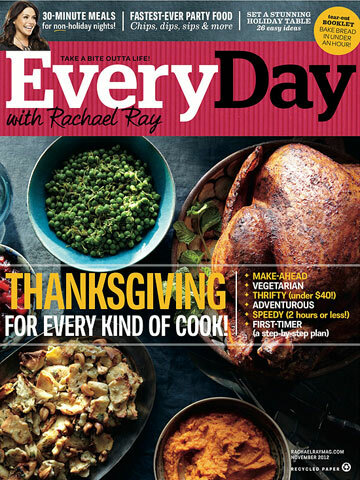 It's always a treat to find info on gluten-free cooking and baking in EveryDay with Rachael Ray. The November issue's "Supermarket Spy" rates three gluten-free cake mixes--Bob's Red Mill, Gluten-Free Pantry and Cup 4 Cup. While I'm a fan of Better Batter, I'd love to hear your thoughts on any of these.